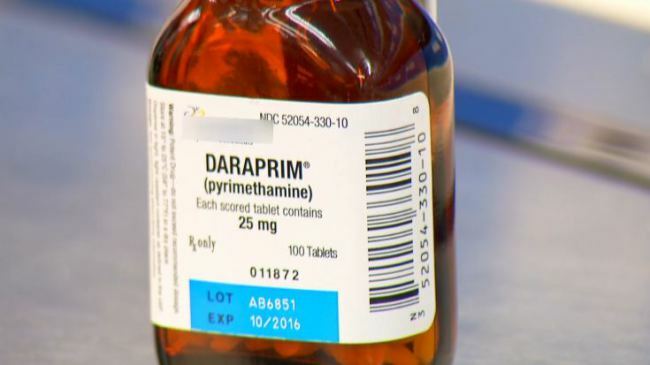 Turing Pharmaceuticals, the company that sparked an outcry by raising the price of HIV drug Daraprim by 5,000%, says it will cut its price for some users. Martin Shkreli’s drug company bought the rights to 62-year old drug Daraprim and increased the price per pill from $13.50 to $750. Turing said it will cut the price by 50% for hospitals and offer financial assistance to individuals. However, the company will keep its list price at the new higher level. In September Turing promised to reduce the price. Daraprim costs around $1 for patients in Europe. In statement Turing’s chief commercial officer Nancy Retzlaff defended the company’s move. She said that reducing the listing price would not have translated into saving for patients. “Drug pricing is one of the most complex parts of the healthcare industry. A drug’s list price is not the primary factor in determining patient affordability and access,” Nancy Retzlaff said. Doctors though worry keeping the price so high will make it impossible for hospitals to stock the drug for the few patients who need it. The original increase sparked outrage on social media and among politicians. Democratic presidential candidate Hillary Clinton called the increase “price gouging”. Turing’s chief executive Martin Shkreli- who had been labeled the most hated man in America-fought back saying politicians did not understand Pharmaceutical pricing. He later backed down and promised to lower the price of the drug, though never said by how much.